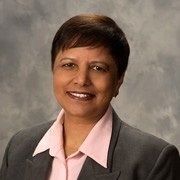 Arti was a Microbiologist prior to joining WPS. She obtained her Masters Degree in Management from JBIMS, the renowned management institute of Mumbai University. She worked with Johnson & Johnson in India as a Sales and Marketing Manager for their Diagnostic Division. Arti then moved to the United States and was the Head of Research and Contract Operations at the up and coming diagnostic Company D-Tek LLC. Her adventurous nature and passion to continue learning led Arti to branch out from her expertise in the medical technology field and into the financial sector by joining Jagruti Panwala at WPS. Arti is heavily involved with various levels of activity at WPS. Her primary responsibilities include overseeing all new life insurance business and assisting with clients’ financial investments. Her keen sense for minute details ensure WPS is on top of all compliance requirements. She has obtained the Series 6, 63, and 65 licenses, as well as her PA Life & Health License. Working in large international corporations has provided Arti unique life experience. Combined with her fluency in English and Indian languages, she can connect with clients on a more personal level. She understands individual requirements, providing optimal service. Her loving, friendly nature, and desire to “do it right” for each client makes her an asset to the organization. Arti’s goal in life is to serve her community. Aside from her high caliber academic qualifications, she is passionate about mountain climbing and enjoys practicing yoga. She resides in Bensalem and is a great nature lover.